Ever wondered what the perfect scent would be to bring instant smiles and uplifting feelings on a down day? 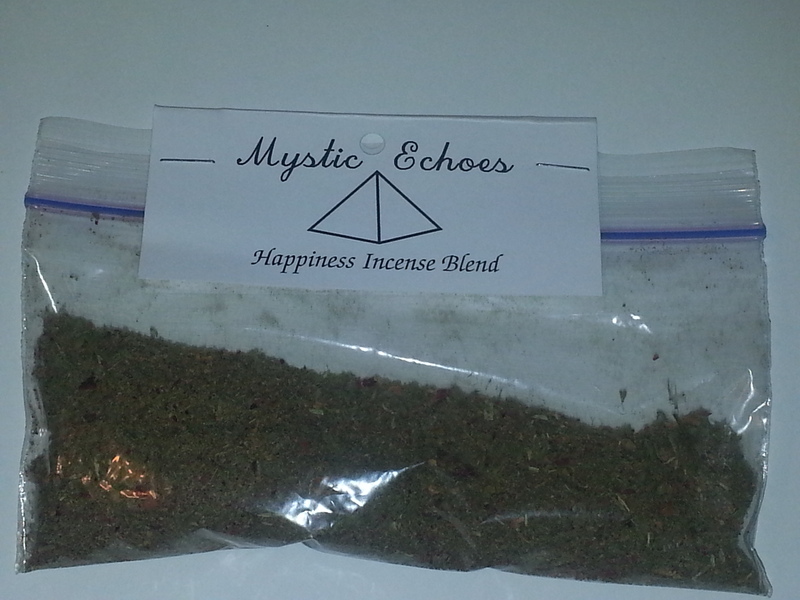 The happiness incense blend is just such an herbal blend. This blend was crafted to help relieve depression and sadness and bring out peace and happiness. Many people have days where they forget about their simple pleasures as well as the joys of having family and friends. This incense blend brings all of those items out into a person’s thoughts and actions. This incense is a blend of Lavender, Catnip, and Rose. Each of these herbs is known to being joy and happiness to others. These herbs together work to form a pleasant and uplifting scent that makes you want to smile. The peaceful scent brought by this incense when burned should make a person relax enough to enjoy the peace and love the have which will bring about happiness. Catnip is an herb quite often associated with joy. This herb was chosen because of the pleasing and mild scent it has when it it burned. It was also chosen because this herb is an herb that brings joy and peace to felines. Cats are peaceful creatures that make many people smile. The association with cats and the joy that cats get out of this herb are reasons why this herb has been chosen to join in this incense blend. Lavender is a very potent anti depressant herb. Happiness is one of the many traits of this herb. Healing is another trait of this herb. Putting the two properties together makes it a powerful anti depressant herb. Being powerful against depression means that it is also good for bringing in the opposite of depression which is happiness, joy, and pleasure. Roses are a plant that has always been associated with love. Love is an emotion that brings much happiness. Roses of a pink color mean friendship and self love. Roses of red mean romantic love. The roses in this blend were read bringing romantic love into the happiness blend. Romantic love is one of the strongest sources of happiness. Love of the self is another reason for happiness. This is why Roses were chosen to be a part of this blend.